A cleaner, brighter ceiling inspires customer confidence! 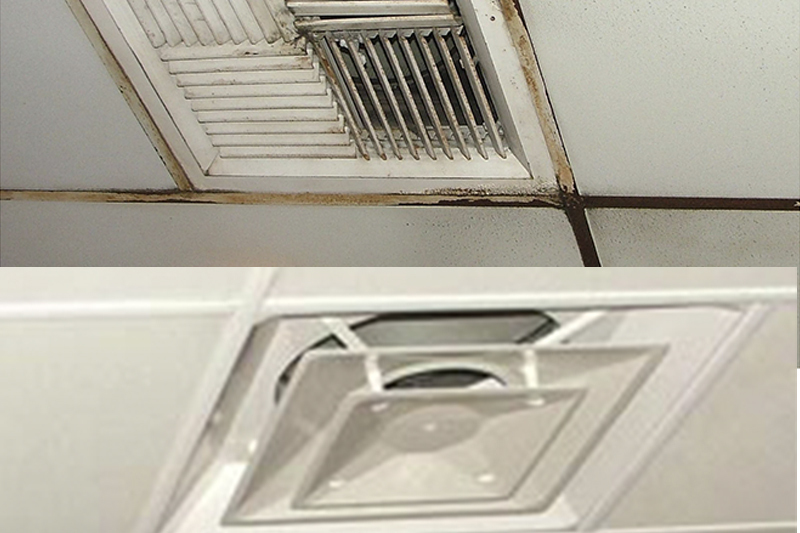 Replace those old, rusted vents with new, cleanable vinyl ones. Install vinyl grid on rusted, stained metal t-bars and make your kitchen presentable! 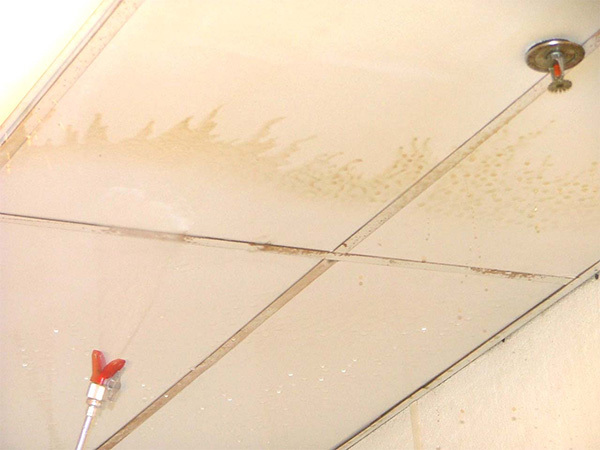 We provide convenient, after-hours ceiling cleaning for a more attractive kitchen without any downtime. We got the air diverters yesterday and OH MY GOD! They have saved my life. As an Admin I am constantly told that “it’s too Cold” or “it’s too Hot” and in an office our size regulating the temperature is next to impossible. Today, I have people comfortable in their own spaces! The ladies aren’t covered in blankets with the cold while the guys remove their ties in the heat. Thank you, thank you, thank you for making a product that has solved a problem that has plagued our office since it was built. 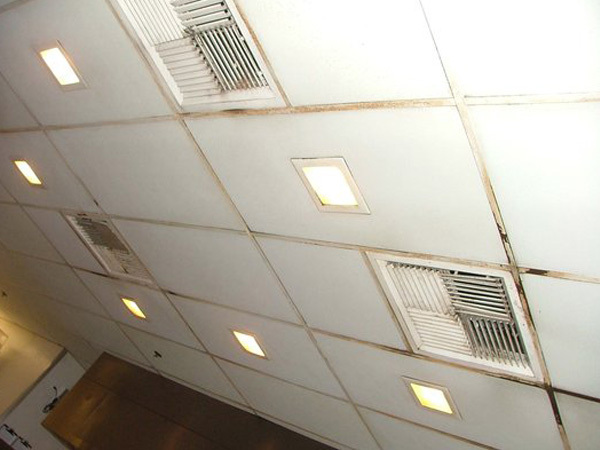 Professionally cleaned ceilings for your restaurant or commercial buildings. What do your customers see when they look up? Make the right impression with ceilings that sparkle! Our comprehensive cleaning process offers a convenient and cost-effective alternative to painting or tile replacement. Contact Ceiling Ease to arrange an appointment. We’ll do all the work at a time that won’t impact your business. There’s no more effective or inexpensive way to create the clean and professional appearance that comes from a clean ceiling than through an appointment with the experts at Ceiling Ease. 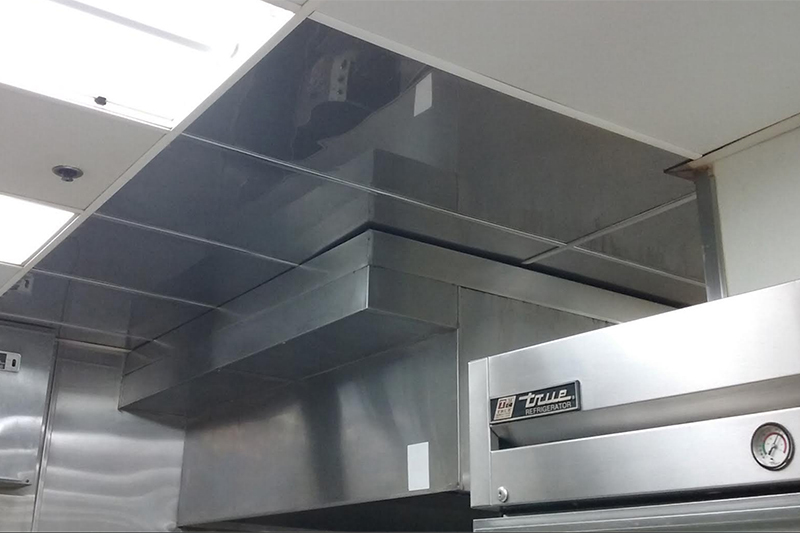 Our services cost less than replacing ceiling tiles. Plus, we’ll do all the work after hours or on weekends, so your business won’t suffer any downtime. Eliminate smoke and fire damage. Fire and smoke-tainted ceilings and walls are no match for Ceiling Ease. Our smoke neutralizing chemicals are powerful, safe and leave a clean fresh citrus scent. Improve the look of your business for your customers and employees. 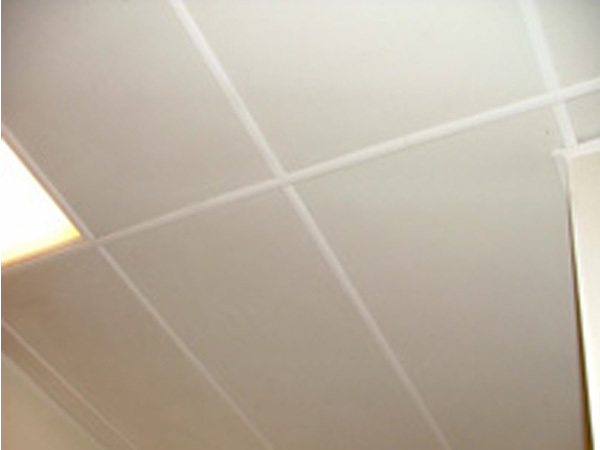 Ceiling Ease is ideal for business owners and landlords who want to make their establishment more appealing. In addition to a thorough cleaning, Ceiling Ease also sells vinyl grid covers, a cost-effective alternative to painting or grid replacement. Drop ceiling / ceiling vent diffuser replacement. 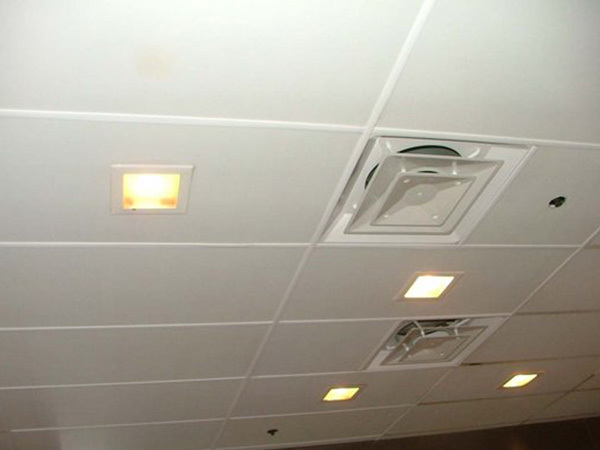 If you have a missing or damaged drop ceiling vent, ceiling vent diffuser or air return, let Ceiling Ease replace your missing and damaged vents, tiles and grids. Clean fire and smoke tainted areas, buildings and homes, leaving a fresh citrus scent.